A 28’x37’ bamboo gazebo is the social center and focal point of each Mindfulness Project housing cluster. People will likely use the gazebo daily for baking bread together, overseeing children, picnics and other informal gatherings. Once people let go of TVs, video games, and other wasteful things then it’s only natural that they’ll want to spend more time with other people. 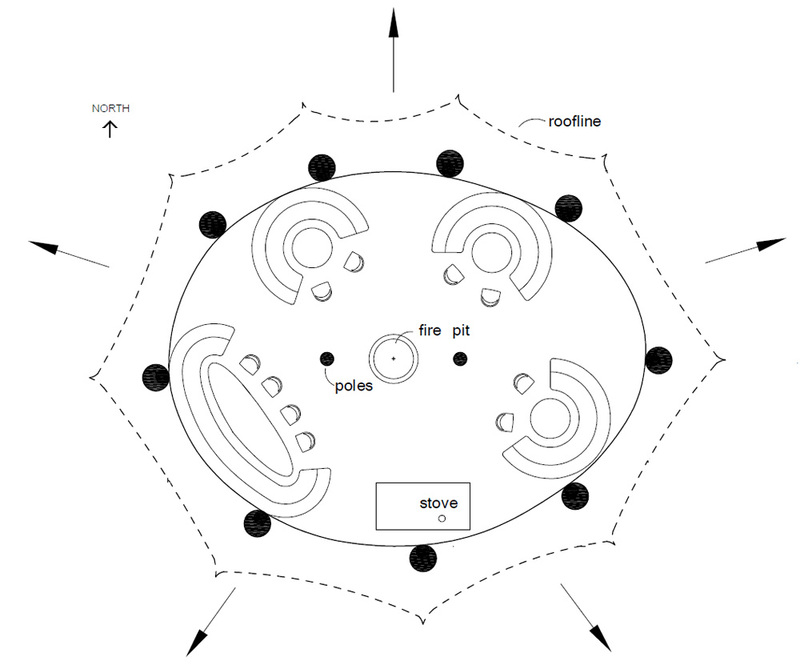 The gazebo has a pentagonal layout in plan view. Openings between earthbag benches align with paths to each house. Paths are covered with wood chips made from wood wastes. 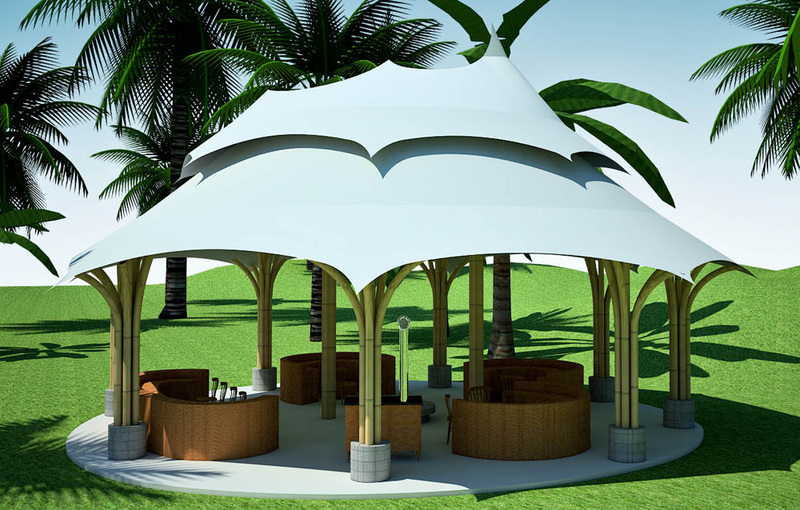 A perfectly round gazebo would be too difficult to get everything to fit and somewhat boring. Let’s create curves in every direction. Make one side of the roof lower to block blowing rain; the opposite side higher so hot air can escape faster. Clusters of bamboo poles curve out to support different parts of a two-tiered roof. Points in the roof point to each house. A large earthbag bench on the southwest blocks prevailing winds, and a 5′ roof overhang blocks blowing rain. There’s a nearby climbing boulder for kids. All buildings (except the Solar Vault, which is in a nearby clearing) are surrounded by native forest, palm, coconut and other fruit trees to prevent overheating. Stay tuned for the Mindfulness Project site plans.